Venice has a tempestuous love affair with the world. 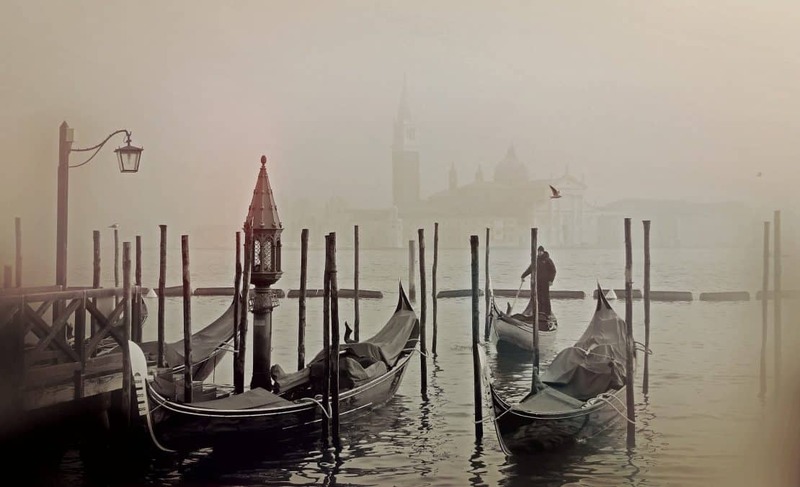 Millions of adoring fans visit La Serenissima each year, lured by the sirens of the Adriatic – gondolas, waterways and the dream of birds fluttering up from St Mark’s flagstones. But if three’s a crowd, then 30 000 is a crush and the combination of cramped bridges, high prices and humidity leave many swearing off the city for life. 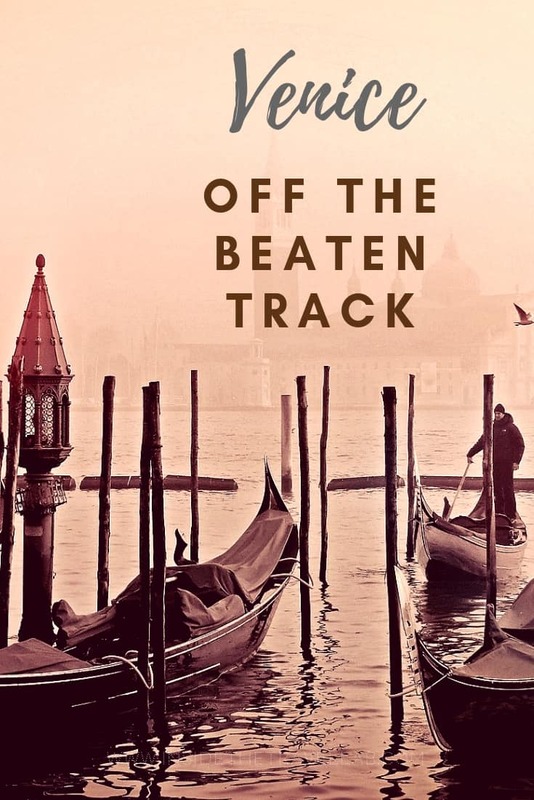 Yet it’s easy, not to mention, lovely, to get off the beaten path in Venice. Here’s how and what it’s like. Perhaps I’ve spent too much time squashed on the London Underground, but in Venice there’s still real beauty to be found. Yes, the sight of sweaty tourists and adverts swamping the Bridge of Sighs is off-putting, but buongiorno? The rest of Venice is as captivating as ever and it’s only a footbridge away. My latest trip to Venice left me with just over twelve hours in this watery playground. Enough time to make the pilgrimage to St Mark’s Square, say hello to the pigeons, scramble through the masses on the Rialto Bridge and enjoy a plateful of polenta and cuttlefish served in the trademark black ink sauce. With a couple of hours to spare, I wandered off piste, turning right onto the Strada Nova and just drifting along. At the very first corner I found myself alone, accompanied only by the lapping of the water and my footsteps on the stone. Glossy black gondolas stood idle, wrapped up in canvas for Sunday’s day of rest. Venice may only have a few thousand true residents and an empire long since gone but behind the “I Love Venice” T-shirts people still live everyday lives. Lines of laundry stretch along the peeling plaster and painted shutters like flags on a village fete. Tanned men in loafers drive their speedboats too fast, sloshing foam onto the brickwork that looks as though it has seen it all. There’s the sound of a baby crying and the smell of freshly baked bread. Another canal takes me past a vegetable market, where chubby cherry tomatoes and stout pumpkin-sized ones change hands beneath the shade of a church tower. A male voice choir entertains in one piazza, while a saxophonist lets rip in another. Gondoliers in stripy T-shirts smoke and read the newspaper, their straw hats tilted to protect them from the sun. Then I cross the Ponte de Gheto Novo, the wrought-iron bridge that carries me into the square of the same name. As it turns out, I have been wandering through the district of Il Ghetto, the small enclave of Venice that gave its name to every sad and squalid ghetto ever since. In the 14th century, this was the Jewish area. Closed gates enforced a curfew at night, property rights were restricted and Jewish citizens had to identify themselves by wearing a badge. This sounded to me like the beginning of the holocaust but apparently, in the Middle Ages, such treatment was mild in comparison to persecution elsewhere. Jewish refugees arrived here from Spain, Portugal and the outposts of the Ottoman Empire, building upwards and upwards in this cramped corner of relative peace. Wake up early. Seriously. The city looks so beautiful then and you’ll catch local people going to work. If you see a tourist sign, walk away from it. Venice is small so you can’t get seriously lost. Travel in the off season. The city is there all year. Stay away from the Biennale or during June-September. Use public transport. Hope on a vaporetto instead of a glossy black gondola. Use the app Spotted by Locals. It does what it promises. Don’t join a tour! That’s the guaranteed way to be with other tourists. Stay overnight. Stay several nights. Learn the rhythm of Venice. Woo her with your time. Go to concerts, go to mass, go to restaurants without a booking. Learn a little Italian. Say ciao. Smile! Today those boundaries have long since gone, leaving butter-coloured walls and dark-chocolate shutters overlooking the children who play in the square. A bustling restaurant serves kosher food, stars of David glitter in traditional Venetian glass and synagogues operate freely. In one corner in the shade, a set of metallic plaques commemorate the lives of the more than 200 Jewish individuals sent to the death camps during the Second World War. Surrounded by the romance of the sleek gondolas and the wealth of historic art, this atrocity seems somehow even harder to comprehend than usual. Walking past students sitting cross-legged in doorways and sketching in charcoal, I realise that the ghetto that spawned them all doesn’t dwell in the past. Handmade posters name countries, detail times and catalogue dates – but it’s not a tourist-driven schedule, nor an historic monument. It’s the programme for the World Cup. In a world of love affairs, La Serenissima, it seems, has fallen for the beautiful game. And even when trying to get off the beaten path, there’s a slow realisation that perhaps in the end all paths in the world are the same. To sport, to games, to football? How about you? 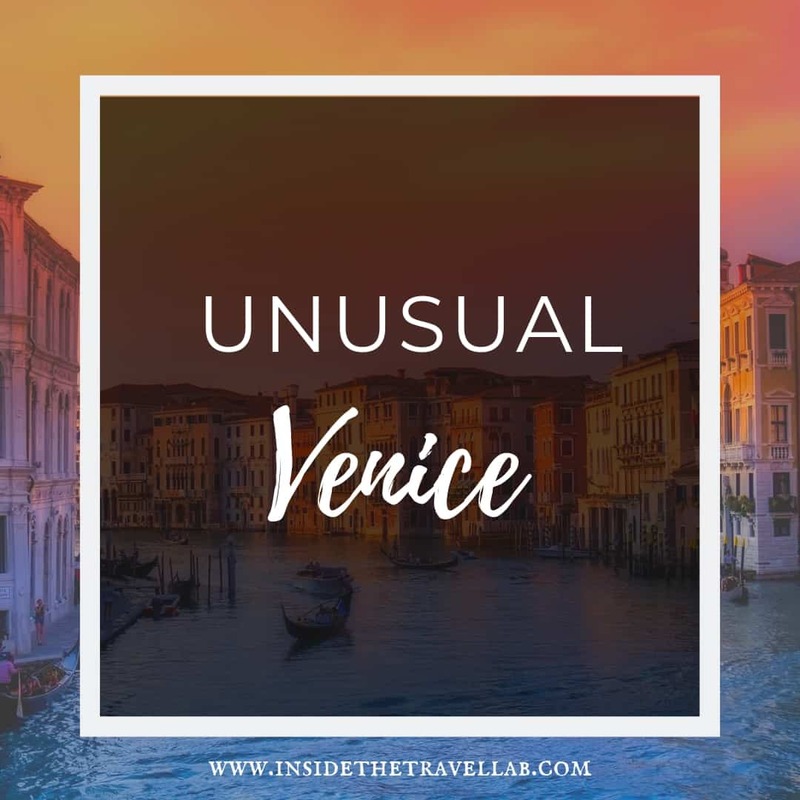 Do you have any tips on how to find unusual things to do in Venice or ways you always make sure you get off the beaten path? 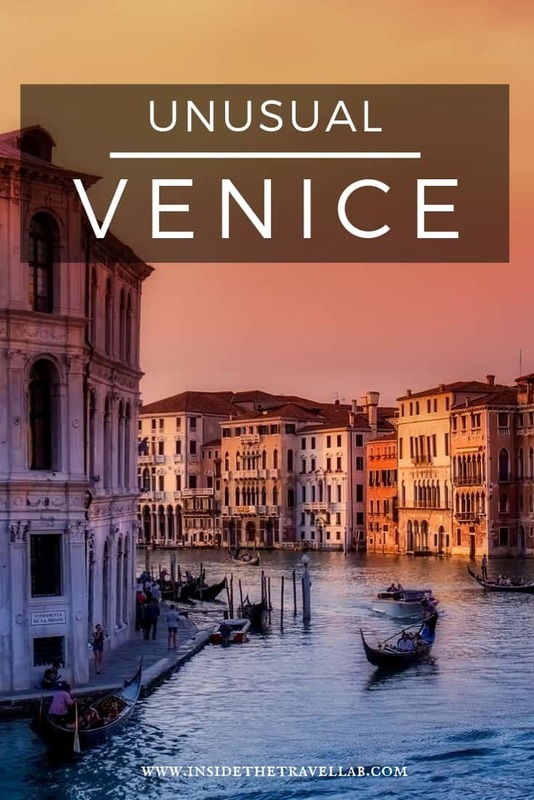 Nice story about Venice, one of the most likeable places in the world. Thanks Gernot – I love the place! Stunning photo of the mask – I remember them from when I was in a few years back. Very distinctive and beautifully captured here. I don’t know if they told you this on the tour or not, but il Ghetto was the most liberal of Jewish quarters. In other areas of Europe, Jews were treated much worse then being locked in at night or were expelled altogether, such as in London and Seville. I am impressed about the story of the Ghetto in Venice…this is an aspect of Venice I don’t know much about it…being Italian..in the past as a student I used to love cities like Bologna or Rome, in the meantime Venice has turned into my fave italian city, its flair and the peaceful atmosphere that reigns there is hardly to beat in Italy! Oh – not sure why my comment didn’t appear here earlier. @Steve – yes, the masks are stunning. I know they attract a lot of grumbles as they are all over Venice now and not as well made as they used to be etc etc – but I still think that they are beautiful. @Michela – Well, the ghetto looks so peaceful now! I agree, that Italy has so much to offer as a country – and I also think that as a traveller you notice things more than when you come from a place. When I lived in London, for example, visitors would arrive and explore the city like crazy but it was only when I realised that I would be leaving that I got around to visiting the biggies like the Tower of London and the smaller places, like the Florence Nightingale Museum. Great city but very touristy if you want to stay and enjoy of another venice stay in dorsoduro. Fortunately for us every time we went to Venice was in the spring mostly in May which is nice because it is before the kids get out of school in the US. The place was never as crowded as so many people have told us so it was always nice. One of the nicest days we had in Venice was our last day there on our last trip because the water buses were on strike and we had to walk everywhere. It wasn’t a big deal to walk since Venice isn’t that big but we got the chance to see many parts of the city we would have never seen because we were normally to busy going to and from places on the water buses rather than enjoying the journey to the site we wanted to see. Glad you enjoyed seeing other parts of the city. I love Venice, whatever the critics say! Another point of view for Venice. At least for me I always see it as a romantic city with waterway and that’s all. Nice article.